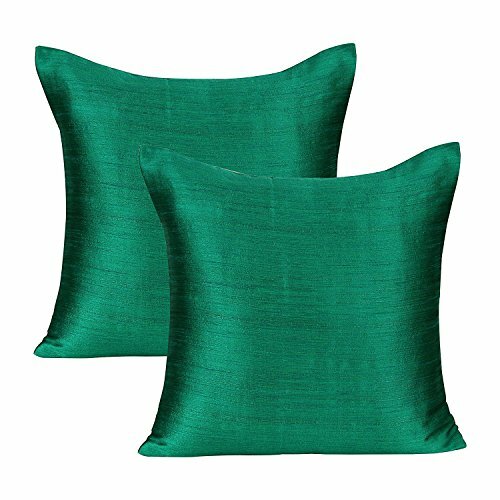 Our responsibly made, premium quality Emerald Green Euro Sham Covers are sure to get you the look that you have so passionately envisioned. These easy to maintain Euro Sham Covers will make your space look elegant and beautiful without you having to worry about their upkeep. We are a small women owned boutique establishment. We recognise the innate desire we all have of seeing our homes in our own reflection. 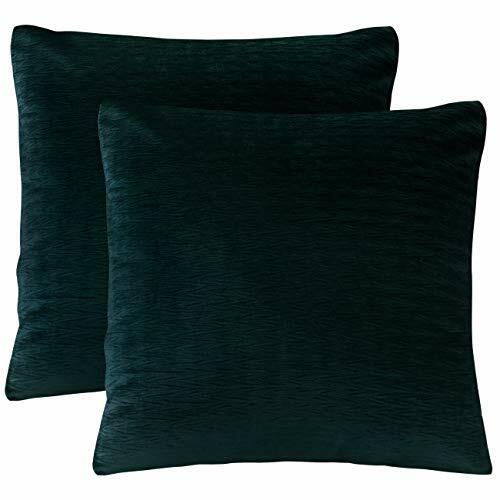 Sometimes we just don't find decorative pillow covers in the right combination of quality, color, fabric, finish and of course price to match our style. 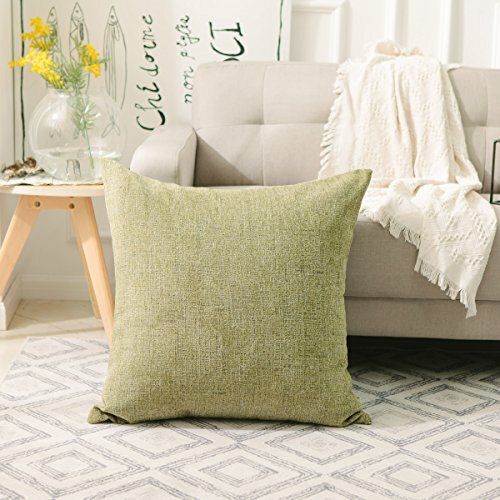 This line of Euro Sham Covers is designed considering all these variables, and we are sure you won't stop at buying just one (after all there is no such thing as too many pillows :)). EURO SHAM COVER SIZE: 26" X 26". Pack of 2. CUSHION COVER SIZE: 18" X 18". Pack of 2. VELVET FABRIC: High-quality durable materials. Various colors to choose. DESIGNE: Euro sham cover 26"x26" - opening is in the back. No zipper. No filling. 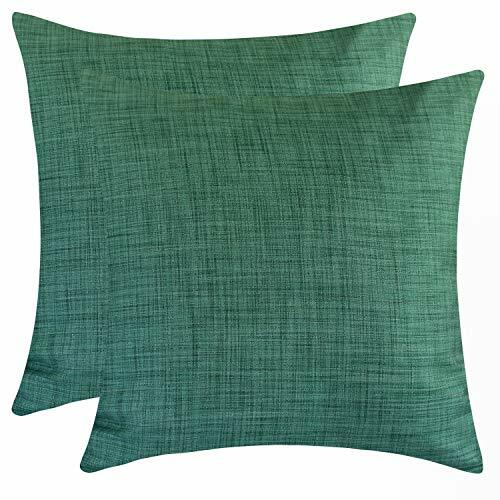 DESIGNE: Cushion Cover 18"x18" - They have invisible zippers. No filling. 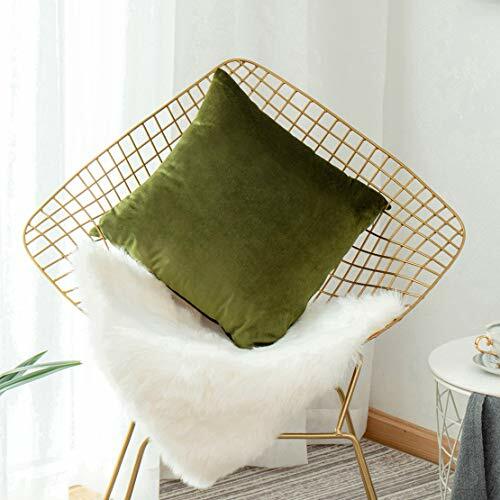 HOME DECORATIVE SQUARE THROW PILLOW COVER: Wrinkled in the face, 3D pattern, good-looking. It's best for any room in your bedroom, sofa and chair. EASY TO WASH: Machine wash cold with like colors. Gentle cycle. Do not bleach. Tumble dry low. Remove Promptly from dryer to avoid wrinkles. Cool iron if required. 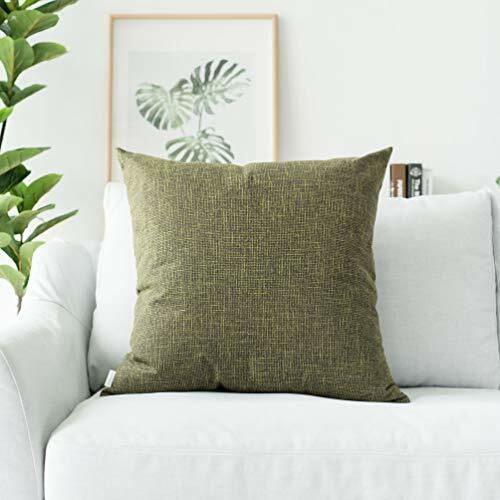 KEVIN TEXTILE Faux Linen Pillow CaseMaterial: High quality faux linen(100% Polyester)Size: 18x18Inch /45x45cm , 26x26Inch /66x66cmColour: Natural Linen, Brown, Light Grey, Denim BlueClosure: Hidden ZipperFeatures:Made from premium, heavy duty high quality faux linen(100% Polyester), Kevin Textile's cushion cover brings softness and smooth to your home, hard wearing properties to ensure long lasting everyday use.2 size, 4 colours can match Modern, traditional or whatever style your home is. Hidden zipper closure for easy care with a seamless look. Summer is coming, our linen pillow case will bring you a cool and clear touch, put our pillow case on your sofa/bed, it is soft enough for you to lean against them comfortably while watching Movie.When you go to travel, our pillow case is the best choice when you need a naps.Washing Guide: Machine Wash Cold Separately, Gently Cycle Only, No Bleach, Tumble Dry Low.NOTE:Due to saturation levels on different monitors, the color of the actual product may vary slightly.Due to hand made, there might be a 1-2 cm size difference, hope you kindly understand.Kevin Textile is a registered brands, please purchase certified products from Kevin Textile. We are not responsible for any other brand. JCPenney Home Collection Euro Sham Yellowy Cream w/Red Green Paisley Floral NEW! 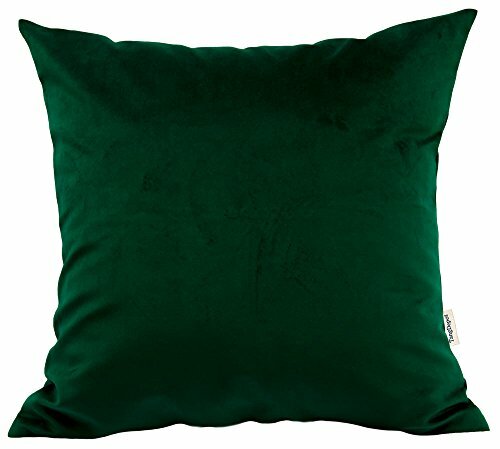 Want more Green Euro Sham similar ideas? Try to explore these searches: Yunnan Loose Leaf Black Tea, Ephedra Supplement, and Disposable Spice Grinder.